Anyone but another warmongering Republican- Presidential power can start evil things but cannot do much else. 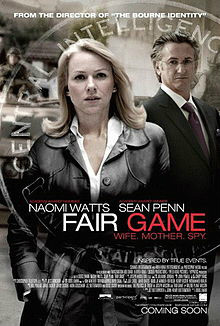 Last night, I watched the 2010 docu drama 'Fair Game'. It is about the deliberate falsification of intelligence evidence to justify the second Gulf War, at the behest of Cheney and implemented by Scooter Libby and others. It led me to revise my opinion that presidents are powerless to bring about change. It seems that they can start wars, but not fix the political system. ie. Obama was mainly useless, but Bush was a thousand times worse. If you missed this film, get it! You will never believe CIA or US presented evidence again. They also tried to cover up their lies by destroying the lives of their accusers and very nearly succeeded.